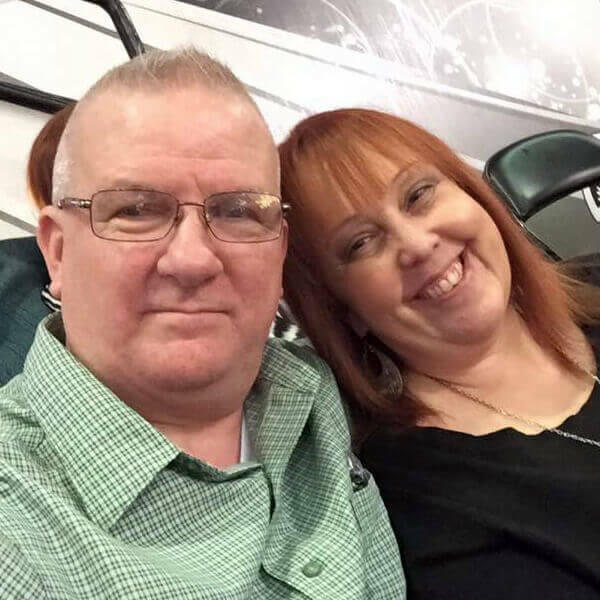 Norm and Angel Poorman are high school sweethearts who have founded their lives upon the gospel of Jesus. Norm and Angel were married in 1993 and have two sons, Hunter and Hayden. The Poormans hold their family as their primary ministry but also feel called to serve others in the places God leads them. Abilene, Texas has been their home for years, but God has birthed in them a heart for the nations and for seeing His kingdom spread to the ends of the earth. Dr. 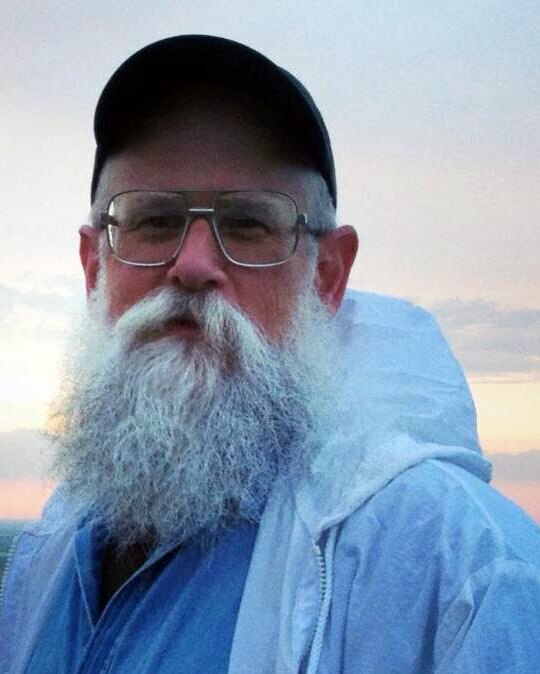 Norm Poorman received a Bachelor of Science in Biology and a Certificate of Missions from Abilene Christian University in 1994. He holds a Doctorate of Dental Surgery from Baylor College of Dentistry and a Certificate of Pediatric Dentistry from University of Texas Health Science Center at Houston. Angel Poorman is a Registered Dental Hygienist, and together they have practiced dentistry in Abilene, Texas since 2001. God has given the Poormans many opportunities to serve in prayer, healing, and service-based ministries. They attend Beltway Park Church where they serve on the prayer and ministry team. They have facilitated classes with Transformation School of Supernatural Ministry, and serve at Love and Care Ministries through dental clinics and feeding programs. Through a revelation in 2010, God transitioned their focus to Camp Barkeley, their 1,000-acre property. That same year, they established the Camp Barkeley Retreat Center. This retreat facility is a gathering place for small groups and individuals to come and meet with God, rest, and be filled by His presence. In 2015, the Camp Barkeley Worship Center was built and registered as a Partners in Harvest Church. This partnership has created a channel for leaders to be ordained and sent out into ministry. To expand the diverse use of the property, Camp Barkeley’s capacity has grown into an additional ministry, Camp Barkeley Training and Equipping Center. This new entity exists to serve as a location for education, retreat, networking and preservation. Erik and Shelli Presley have four sons: Jeremiah, Zeik, Isaac and Nate. At the core of who they are they believe in loving God with all their heart soul, mind, and strength and in loving and valuing family. Both Erik and Shelli, as young adults, lived out their passion for seeing the nations come to know Jesus Christ as short-term missionaries in South America and Eastern Europe. After they married, this heart beat for the lost continued in their commitment to share the gospel and make disciples both here in America and in many nations around the world. After having their eldest two sons they moved to Bangkok, Thailand where they served as missionaries with a team from Christ Fellowship, Fort Worth. They both worked with local Thai church leaders and shared the love of Christ with their neighbors, helping to usher in the Kingdom and bring freedom to the lost. Erik also participated in marketplace ministry through an international education consulting company that he helped found prior to moving his family to Thailand. 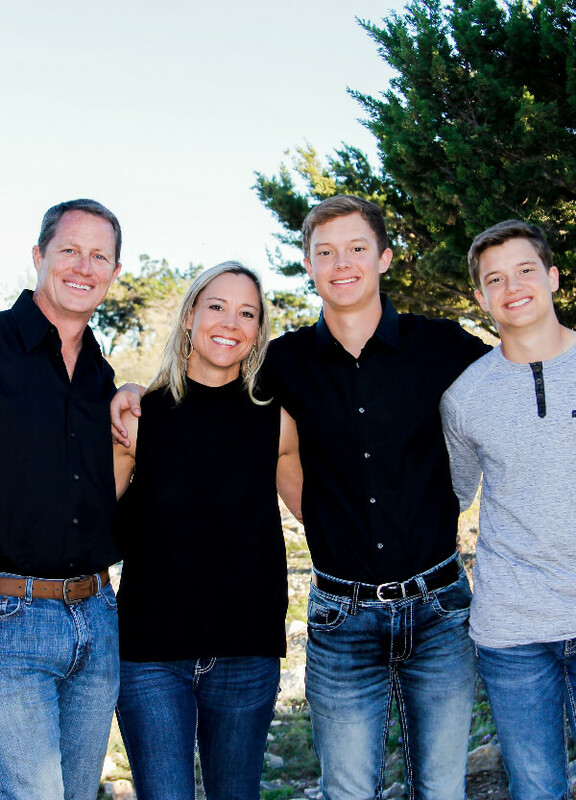 Shelli is trained as a Marriage and Family Counselor and currently serves as the Family Freedom Pastor for Beltway Park Church in Abilene, Texas. She has a passion for teaching the Word of God, discipleship, reaching the nations and empowering the body of Christ to walk in intimacy with God through the church’s Freedom Ministry. Erik has his MBA from Abilene Christian University and has worked in the business and finance world his entire career. He has a passion to teach others that God has made His children to be priests in the marketplace. As Children of God, we were all made to restore God’s world to His original design. In this design, Jesus rules and reigns that the earth may be fruitful and bear life. The church is to influence every mountain of society so that Christ is known as Lord. When asked about Camp Barkeley they will readily tell anyone, “We have loved watching and praying into all that God is doing at Camp Barkeley from the beginning, and it is an honor to get to serve in this place as we see heaven invade earth. At Camp Barkeley Training and Equipping, the Presleys function as the Directors of Global Affairs. As Directors, they exercise pastoral oversight and develop ministry infrastructure and overall strategy. The Presleys are co-laboring with the Poormans to facilitate CBTEC schools as speakers and provide training throughout. Chris and Dot Hall are currently living in Brownwood, TX which is about an hour away from Abilene. They have been there for twenty-two years and are currently relocating to a local home here in Abilene. 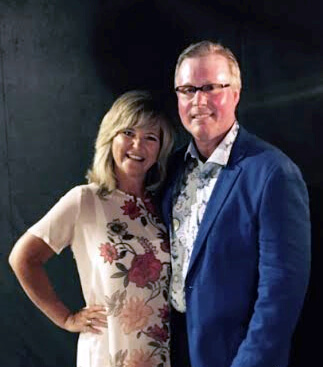 Chris and Dot have taught Financial Prosperity, have lead leadership meetings, and have desires to connect people together for the move of God to be fulfilled. They love people, love to lead, and love to walk alongside those who long to know more fully the reality of their identity in Christ and how to walk it out. Their hearts are to help people become more then they envisioned or dreamt about becoming! They desire to love and worship Jesus with all that is within them!! Their hobbies include traveling, playing tennis, riding bikes, and going to the beach. Chris and Dot have received training at Camp Barkeley in Restoring the Foundations and are on the fast track to becoming a Healing House Network. They are also marriage consultants and are called to obedience to Jesus and to challenge others to do the same! Keith and Elizabeth Fry met through a divine appointment in 2011. They were engaged ten days later and were married in 2012. Together their family serves as missionaries in the community of Abilene. 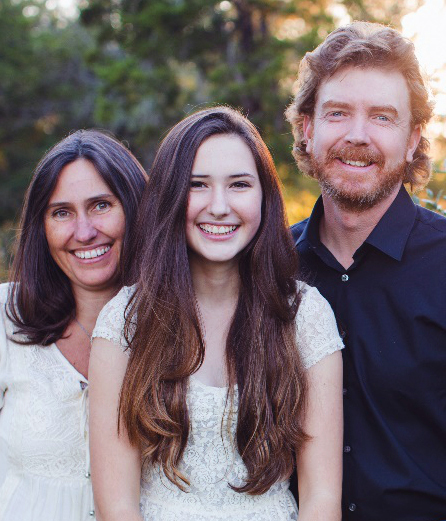 Their daughter Brenna is homeschooled and loves to minister to children and lead worship. Keith and Elizabeth have also had opportunities to serve cross-culturally in India, Israel, and the Philippines. 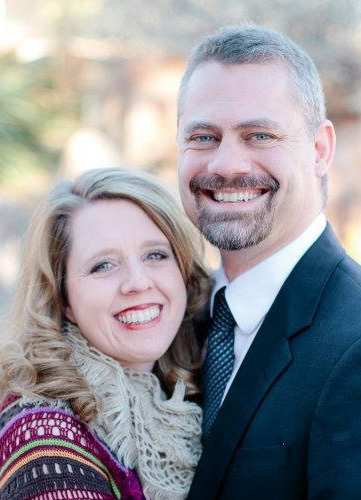 Keith and Elizabeth have a passion for intercessory prayer, healing and deliverance ministry, discipleship, and feeding the hungry on both spiritual and physical levels. The Lord has given them a passion for and the skills to grow organic food through sustainable farming practices. They have used this knowledge to feed the hungry, including: widows, orphans, and missionaries. Currently, they live in central Abilene in a home they’ve recently renovated for Kingdom purposes. They have shaped their home to be an intentional faith community. This community allows them to mentor and be the spiritual “Mom and Dad” to the young men and women who live with them. Their goal for their lives and for those who live with them is to surrender all to Jesus and “walk by faith, not by sight.” The Frys also serve on the ministry and prayer team at their church, Beltway Park and hold intercessory and pastoral positions in community businesses. They have a love for the nations and are passionate about seeing God’s children wholly equipped. By walking intimately with God, the Frys know everyone can carry out the Great Commission and bring His Kingdom to earth. Edna Riley has served the Christian community for over 30 years as an elder, teacher, and ministry leader. Her sensitivity to the Holy Spirit provides a personalized, spirit-led approach that infuses her work. 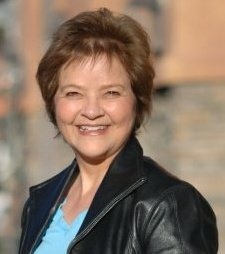 She is a Restoring the Foundations Healing House Network minister and trainer, a Kendall Life Languages Certified Trainer, and a speaker and seminar leader. Her leadership focuses on healing and restoration, character development, effective communication, group dynamics, personal development and the principles of a Kingdom lifestyle. Edna was an educator in the public sector for over 30 years. Her experience includes: curriculum development, teaching, counseling, and administration. She received a PhD in Educational Psychology from Oklahoma State University and a PhD in Clinical Pastoral Counseling from Colorado Theological Seminary. Her research focused on cultural sensitivity and family therapy. Edna’s educational background and her extensive ministry experience give her a unique holistic approach to service that has converged in her role at Camp Barkeley. Lauren Hassell is originally from Grapevine, Texas. In 2011, she moved to Abilene to study physics at Hardin Simmons University. She was drawn to Abilene’s small town charm and rural setting that were not available to her growing up. 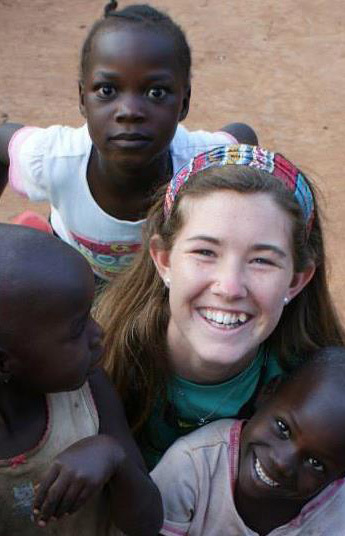 Lauren has a passion to care for and serve others as well as a desire to grow deeper in her relationship with the Lord. She is an outgoing person and loves how God is using her gifts in her job at Children’s Dentistry of Abilene as a Personal Relations Specialist, in her church’s college ministry, and through opportunities at Camp Barkeley. She has greatly enjoyed becoming a part of the Camp Barkeley family and is excited to see what God is going to do in the future with this ministry. Her passion to see individuals grow in complete knowledge of their identity in Christ fuels her to equip others with the tools needed to grow in character and gifting. Joe lived in North Carolina for almost nine months until the Holy Spirit drew him and his family to Abilene. He attended Hardin Simmons University in Abilene, Texas. Joe is blessed to have four children and five grandchildren. He serves on the ministry teams at his local church, Beltway Park, and ministries with which he is connected with. Otherwise, Joe desires to go where the Lord says to go, and he longs to say and pray what God says. Joe has a heart for and travels often to the nations of Honduras, and Israel. He also has a passion for South and North America! One of His greatest passions is releasing the Word of the Lord as He presently, simply ministers freedom to people in such a way that they learn revelation of His glory and are enabled to operate in it, and Spirit Led worship. Joe has been discipled as a campus director in both Campus Crusade for Christ and [Southern] Baptist Student Ministries and in all church and pastoral ministries, teaching and preaching. He is a licensed Southern Baptist Minister. He is also experienced in street ministry, following up as staff at Love and Care Ministries. He enjoys ALL Freedom and Prayer Ministry trainings at Beltway Park Church and other local churches. Tim and Jeannette have been married for 37 years! Together they have four sons, two daughters, six grandsons, and two granddaughters. After living in Abilene in 1993-2007, they moved to San Marcos Texas where they played a big role at their home church, and Jeannette was an elementary teacher at a local school. Meanwhile, Jeannette applied to be a student at our first training school here at Iris Abilene! After attending one school, and staffing the second, she and her husband felt that God was calling them both back to Abilene to join the Movement that God is releasing in the Big Country. They are Resident Missionaries at Iris Abilene and serve at our local community partnerships, Global Samaritan and Love and Care Ministries. Together they have a passion for music! Jeannette plays the flute, and Tim the Saxophone. Tim desires to have His own online business and to be the best He can personally be! Jeannette enjoys using her teaching gifting to help encourage, and empower people from all walks of life! They are both excited and looking forward to all that God is unfolding right here in America, and also in the world. Ronnie and Missy Wiley have been married for 17 years and have two children, Katie (12) and Isaac (9). 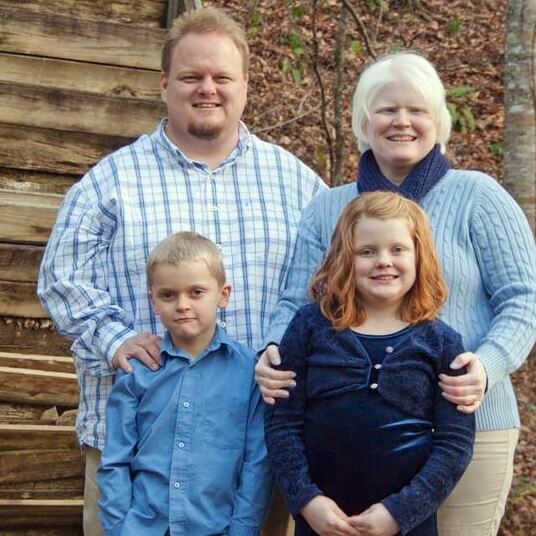 As a family, they have ministered in 40 US states and 9 nations. Katie and Isaac have both expressed a calling to the mission field since the age of two. Over the years, Ronnie and Missy have served in ministry including leadership and staff positions for churches and non-profit ministries. In 2006, the Lord led them into a season of owning a successful business before He returned them to full-time ministry in 2012. Since that time, they have received specialized training in disaster response and crisis ministry. Ronnie and Missy served as senior leadership for a national disaster response ministry. Ronnie served as the national deployment coordinator and senior chaplain, and Missy was the bookkeeper and training coordinator. The Wileys currently serve as base leaders for Kaleo International. They are working with pastors and leaders in Laredo, Texas and Nuevo Laredo, Mexico to establish a network of Kingdom leaders. They are currently working with churches to provide training through ISOM Bible Schools, discipleship programs, and church building projects to further the Kingdom. As missionaries, they have a vision to equip leaders and churches to reach the harvest, demonstrate the love and power of God, and make disciples of the nations. Paul Cull is a Christian missionary from New Zealand who has been ministering in Brazil since 1994, primarily with at-risk young people. In 1996 Paul started working in an underprivileged community in the city of Nova Friburgo, in the State of Rio de Janeiro. He founded the House of Project, which ministered to local teenagers and their families, becoming part of the Iris Global family in 2012. Paul also pastored the Partners in Harvest church in Nova Friburgo until 2009, when his itinerant ministry to the Brazilian church led him to move to the city of São Paulo. 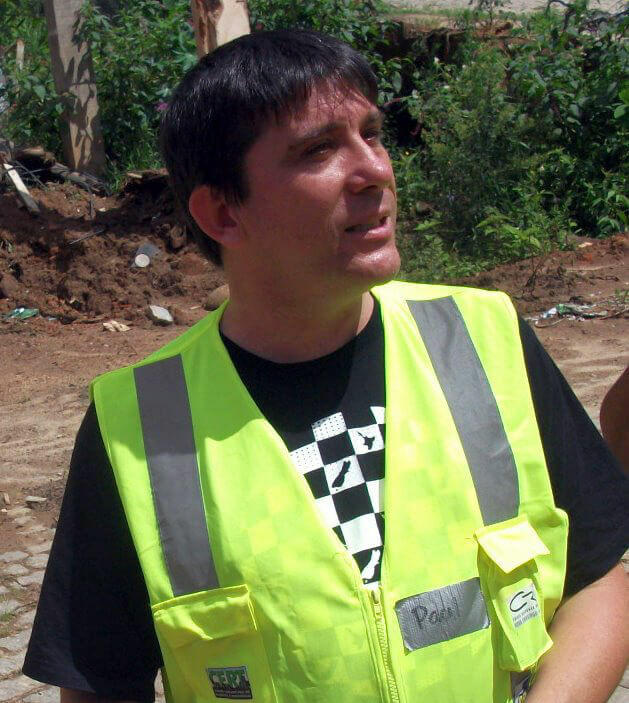 Following tragic flooding and landslides in the region of Nova Friburgo in early 2011, which became Brazil’s worst natural disaster, Paul returned to the city to work with recovery operations. This lead to him focussing on disaster relief missions, both with Iris Global and also with Crisis Response International. Currently, Paul lives in the suburb of Cordoeira in Nova Friburgo, where he leads a teens' group and continues to minister in disaster response missions, both locally and internationally. 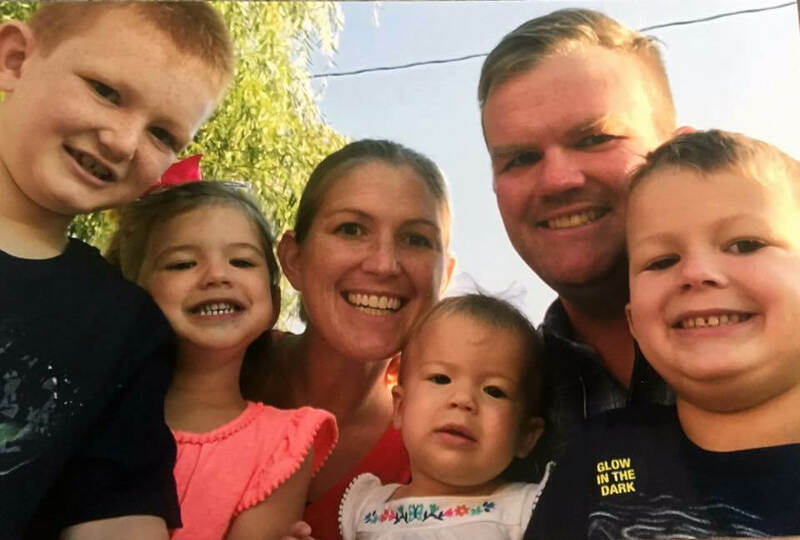 Bart and Chelsie Herje have four kids; Noah(7), Kai(5), Aspen(3), and Selah(1). They enjoy playing sports as a family, fishing, different games, riding horses, and serving alongside each other! They love to champion and encourage others by serving and speaking life into life’s situations. Together, they are passionate about creating an environment that allows the Holy Spirit to move in however way He pleases. They love to specifically strengthen missionaries all over the world. They recently moved to Abilene from Kansas and are excited to join the Camp Barkeley family to see the Kingdom of Heaven invade the Earth! Bart attended Southwestern Theological Seminary, was a youth pastor at Cowboy Fellowship. Bart and Chelsie together also have lead outreach and were life group leaders at Victory Life Church.